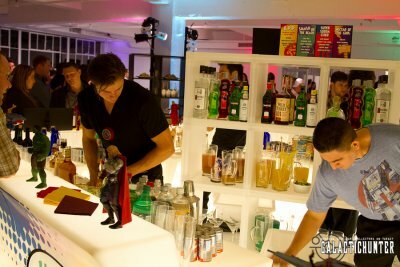 The "Smash On The Beach" and "Super Serum Cider "were flowing readily in the Avengers themed bar and many cheeses, noodles, and egg rolls served to various members of the collector press during a Hasbro New York Comic Con Preview Party in Mid-town Manhattan on Wednesday night. 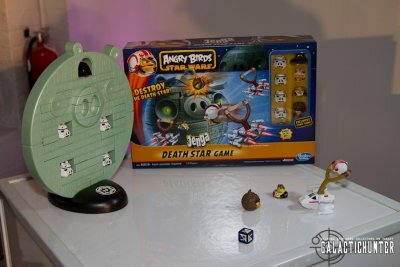 Hasbro showcased a few of their brands and gave a peek of what's coming in 2013, including the recently announced Star Wars Angry Birds figure and game assortment. 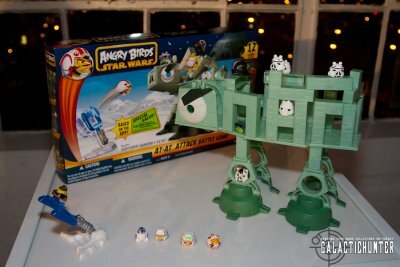 The new line is clearly aimed at a younger audience and should attract the legions that are fans of the Angry Birds game app and its cartoony characters. 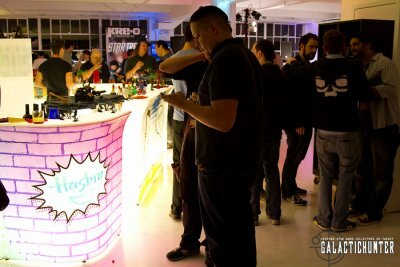 The game play and figures mimic those of the app with slingshot and lightsaber launchers aimed at their porcine foes. 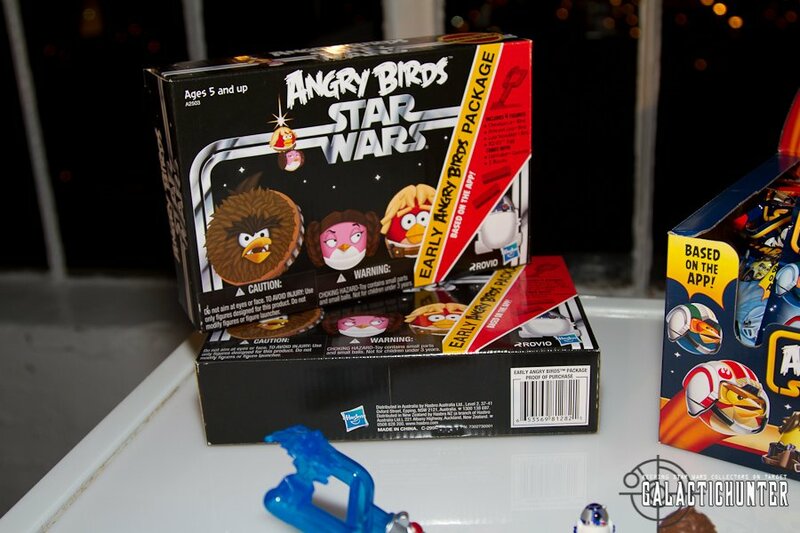 Hasbro product is slowly trickling in now and the app is slated for release on November 8. The Death Star and AT-AT Battle Games look fantastic and we're particularly fond of the Early Angry Bird package that's sure to have cross appeal for our side of the fence. Coincidentally, the package quickly sold out during its launch release at ToysRUs Times Square and other SWAB products are selling through briskly from the snapshot we saw. While this is far from indicative of how this line will ultimately perform, the early results look promising. And that's it for Star Wars since we really can't count the MTT they had displayed for their Holiday Gift Guide corner. 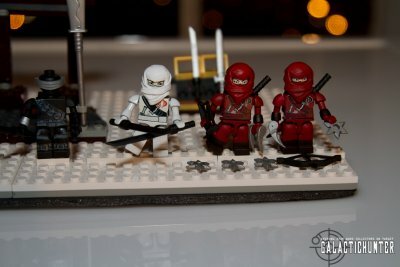 For Kreo fans there are new G.I. Joe and Star Trek assortments that are slated for 2013. 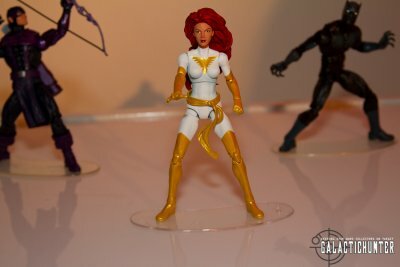 Some Marvel Legends were also previewed that featured Phoenix (White Outfit), Black Panther, and Classic Hawkeye. 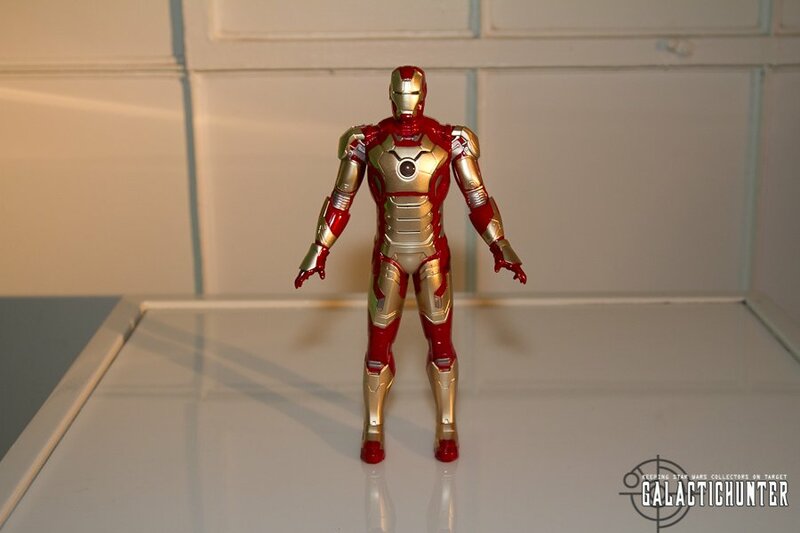 There's an exclusive peek of the new armor Arc Strike figure for Iron Man 3 along with a cool collection of Micro Muggs based on the movie. 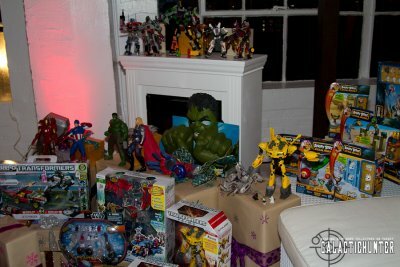 On the other side of the room, a My Little Pony display showcases the latest collection for you and your Bronies. We did get a chance to corner Jeff Labovitz of Hasbro and asked him a few things of what's planned for 2013. The bad news is that the Mandalorian Shuttle won't see a store shelf in 2013 and neither will Wave 2 of the Class II Vehicles that include the new Naboo Starfighter. We recommend checking your online retailer for the last 3 Class II vehicles since 2013 will be introducing the down scaled Class II Vehicles that were shown at Celebration VI. As far as the Mandalorian Shuttle, it would be a waste of a tool to not re-release this at some point, but it won't be next year. 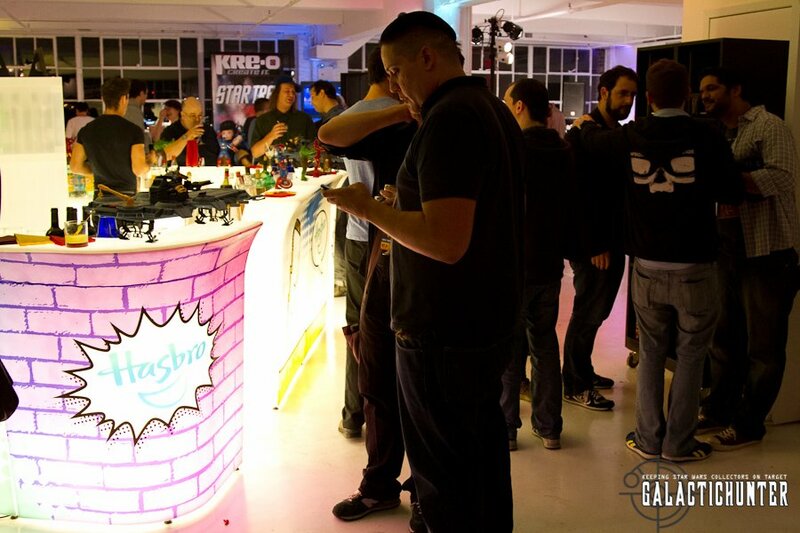 The first half of the year will include the 30 figures or so that will constitute Droid Factory, but Jeff and Hasbro gave a wait and see on what's to be revealed at Toy Fair in four months. With the 2 prequels being released back to back in the fall and the much anticipated return of the Original Trilogy after that, there could potentially be some great new stuff coming down the pipeline in the second half of 2013. ROTJ's 30th Anniversary is next year and we had to ask about the Sail Barge. Is it cost prohibitive in this economic landscape? We say no (we being Paul from Jedi Temple Archives and I). If they're going to charge $200 for a Vintage repackaged Falcon for the Holiday season, they can certainly make the case for a Sail Barge at this price point which is either conceptually evolving in Mark Boudreaux's mind or already in the Hasbro workshop. And that Death Star they should be working on? 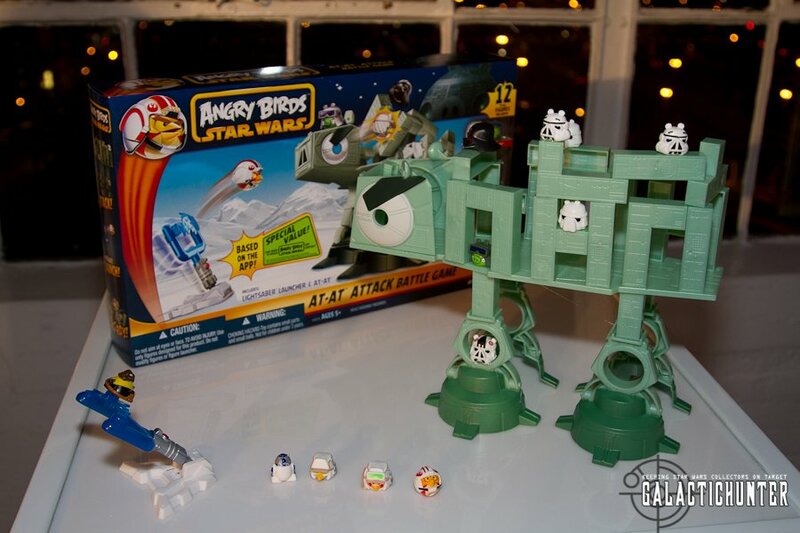 Hasbro is exploring the best conceptual method if one will eventually be released. 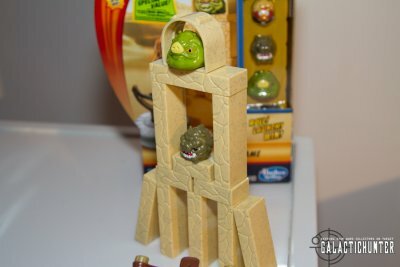 Timing is everything, and what better window of opportunity than releasing a Death Star Playset in conjunction with Star Wars (some kids call it A New Hope) in 3D. One piece of good news is that Hasbro is still planning on re-releasing the late 2011 Vintage figures (Bastila Shan, Ponda Baba) and other much in demand 2012 figures like Darth Malgus and the Imperial Naval Commander through online retailers. The last Vintage Wave has apparently being selling through well and online retailers have become a viable alternative. These will be in their original Vintage cards and not Droid Factory. A huge Spider Maul will be released as an exclusive at some point. Jeff indicated it will be in the realistic style. There were some obvious repercussions this year as a result of overprojecting TPM 3D merchandise. Toy Fair holds some promise of how Hasbro and Lucasfilm plan to continue and market this toy license past the distribution issues of 2012 and regain some luster. Plans and strategy need to be recalibrated and fine tuned to accommodate the changing landscape of the market, distribution, and manufacturing costs. Does 2013 present an opportunity to reset the brand? Will collectors even care and are they past caring? Based on what we've seen at Celebration VI, part of it will include new thinking in design and going back to the reality that these are first and foremost children's toys and Mommy dollars need to help sustain it. What else will new thinking on Hasbro's part represent for collectors? 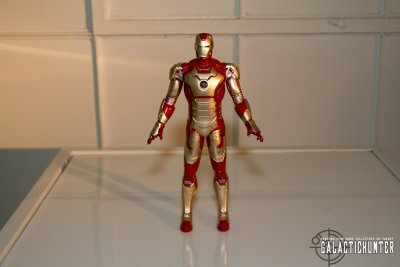 Are five points of articulation and scaled down vehicles a new reality or is there something else up Hasbro's sleeve that will bring back the collector segment that lost some enthusiasm in 2012? We hope to find out more in February. Stay tuned.